Phnom Penh (FN), Jan. 29 - The Garment Manufacturers Association in Cambodia (GMAC) issued a press release to clarify on the dispute at W & D (Cambodia) Co., Ltd., which so far articles disseminated both on websites and social media have been one-sided by some media outlets, and that the contents of those publications do not reflect the true reality and mislead the public. 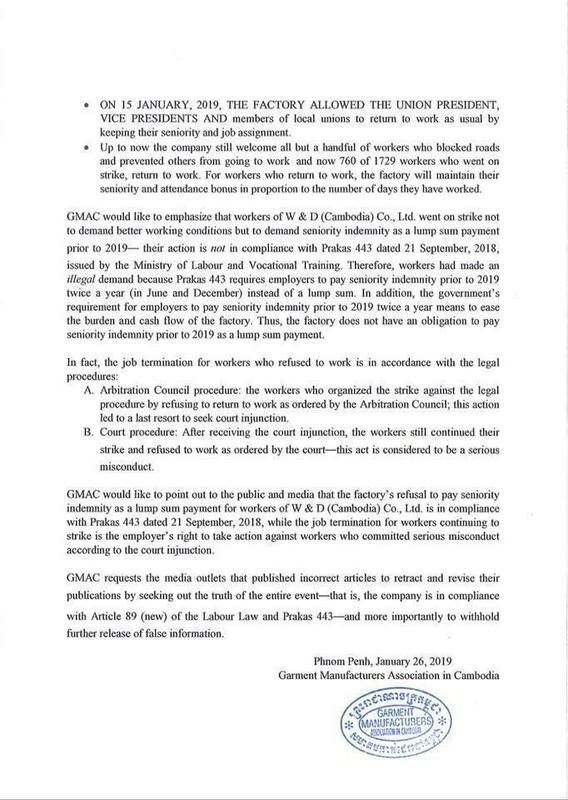 GMAC would like to inform the public and media that the dispute at W & D (Cambodia) Co., Ltd. happened on 24 December, 2018 at 12:30 pm until the present, during which 1,729 workers went on strike to demand the company to pay the seniority indemnity as a lump sum before 2019 and count the seniority indemnity prior to 2019 the same as 2019, GMAC wrote in its press release dated Tuesday. 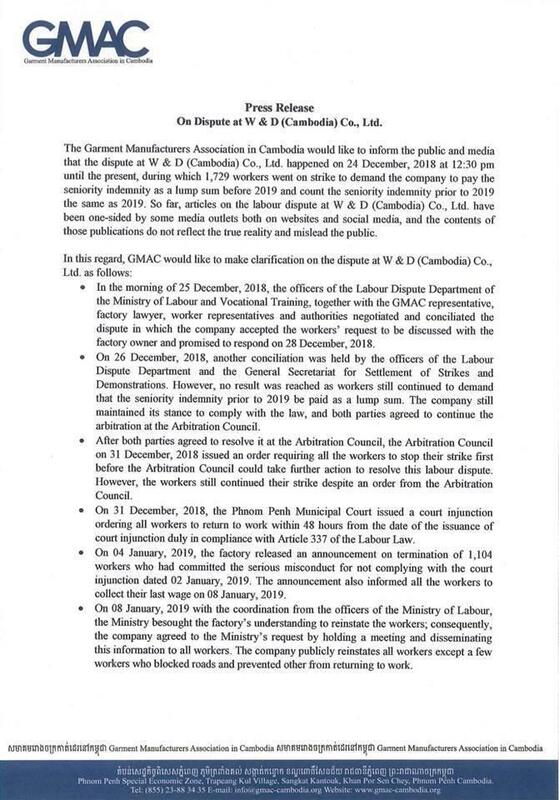 “Articles on the labour dispute at W & D (Cambodia) Co., Ltd. have been one-sided by some media outlets both on websites and social media, and the contents of those publications do not reflect the true reality and mislead the public,” the press release added.